"I believed a more effective motor fence could be utilized by creating a vacuum in front of, or above the aircraft, into which the plane would be drawn. This is a natural phenomenon, demonstrated every time a tornado ravages the countryside"
"a powerplant with not a single moving part"
"I wanted the vacuum above the surface, and under high pressure, to be derived from a circular motion of gases. In 1932, when I was first experimenting with this circular effect, I was producing as high as six tons of lifting power per square yard above the wing." "I increased its power (ordinary pistol engine) by 53.5 percent!" He modified the exhaust system with a "depressor"." 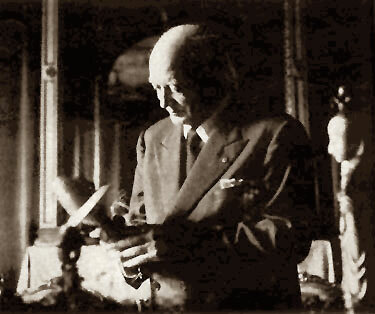 Henri Coanda, an aeronautical engineer from Rumania, was living in Paris at the turn of the century. 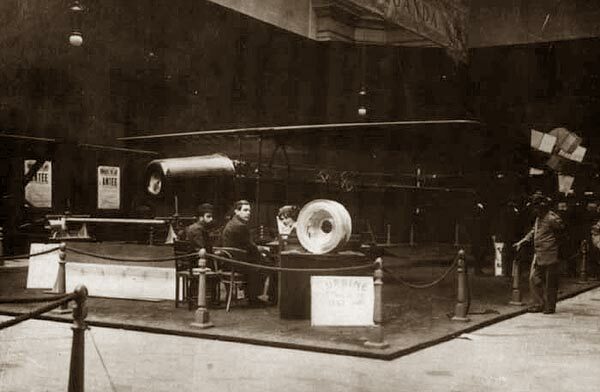 By 1910, Coanda had built what might be considered the first jet aircraft in the world- the bi-plane "Turbine Aeroplane" which was displayed in Paris. Coanda, however, missed his critical historical claim to fame while toying with the aircraft's primitive motor-driven thermal jet turbine which started the aircraft rolling forward. Not being a pilot, Coanda jumped into the jet aircraft anyway and attempted to fly it. He failed and crashed, being ejected from the aircraft in the process. Another Turbine Aeroplane was not attempted. However, Coanda noticed that the flames from the engine exhausts went around the protective plates and converged again on the fuselage. This led to Coanda's famous physical phenomenon discovery that when a liquid moves at high speed near a curved surface, it adapts itself to that curvature. This also applies to air, but the flow speed must be much higher for effectiveness. It is a "suction" effect. Thus, the "Coanda Effect" was discovered and Coanda himself quickly experimented with it before filing for three new propulsion patents in 1938. Patent No.2,108,652 dated Feb 15, 1938 concerned airflow acceleration over the periphery of a concave disc. Despite this remarkable idea, no official interest came of it until the German occupation of Paris in 1940. The SS immediately brought Coanda in and put him to work on designing a large disc to be powered by the latest in German jet engine technology. Coanda for his part designed a strange lenticular disc with a diameter of 20 meters. It was to utilize twelve Jumo 004 jet engines installed in a radial pattern on its periphery with jet nozzles that forked into three pipes directed towards the thick external ring. Once lift was obtained,accelerating the engines on one side would cause the other side to go downwards and the craft went in that direction. While Coanda's design was a masterpiece of jet disc technology, only scale model wind tunnel testing was performed by the end of the war. Such a machine would not be practical due to the number of jet engines required- vital engines that the Me-262 Schwalbe and Ar-234 Blitz desperately needed. The large machine would have also consumed large amounts of aviation fuel of which Germany had a critical shortage of. 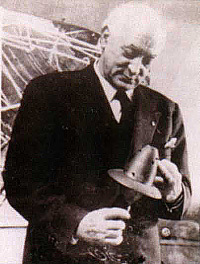 Postwar, however, Coanda's work was validated by scientists of the Allied research services which declared his propulsion system suitable in 1949. The Cornell Aeronautical Laboratory in the US during 1952 further added to Coanda's credibility when tests performed using his propulsion system came back with positive results. 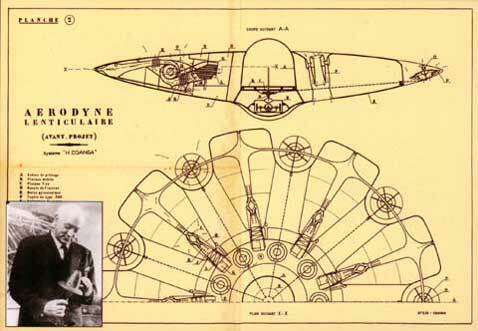 Coanda subsequently filed new patents in the 1960s for disc aircraft and propulsion systems but none of his craft were ever constructed.